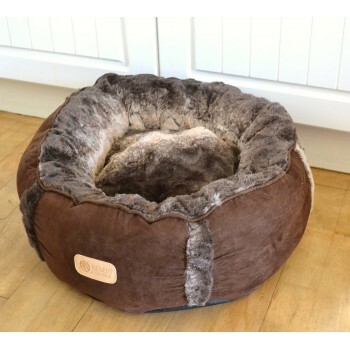 This stylish and luxurious pet bed has a soft faux fur lining with a soft faux suede outer, making it super soft to the touch, warm and comfortable for your either dog or cat. 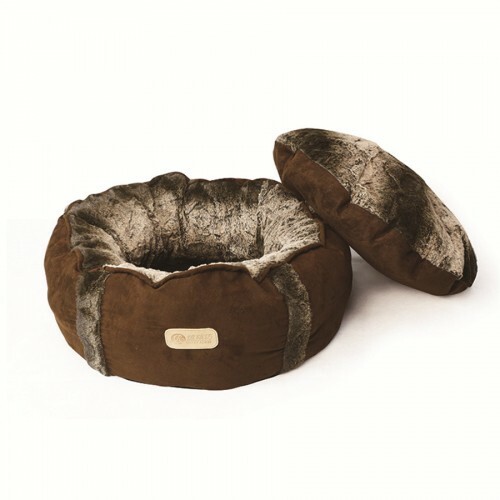 The deep filled sides provide extra comfort and a sense of security for your pet as they snuggle down in this bed. 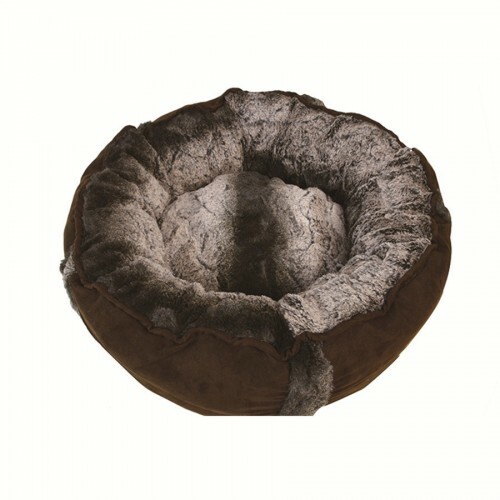 With its non-slip base and removable covers (both inner and outer), this gorgeous bed will look great in any style of home and will quickly become your pets firm favourite place to be. The toy shown is not included. Faux Fur and Faux Suede. Machine wash on a gentle wool cycle at up to thirty degrees. Dry nautrally - comb with your fingers if required when drying.